Rob Evans is a partner in the Miller, Zimmerman & Evans law firm. His practice areas include divorce, child custody, child support, modifications, alimony, guardianships, mediation, and collaborative law. 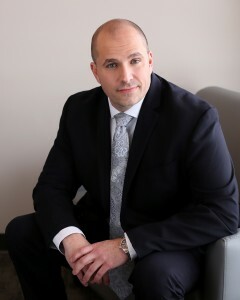 Rob focuses on dispute resolution through negotiation and offers collaborative divorce services as an option for his clients. Rob also mediates for parties and attorneys in family law matters. While in law school, Rob clerked for a prestigious family law attorney in Des Moines, Iowa. He also practiced as a student attorney in the general practice and criminal divisions of the Drake Legal Clinic, representing indigent clients in a variety of family law and criminal matters. Rob worked as a Teacher’s Assistant in Legal Research and Writing, served as an Ambassador for the law school, and worked as an Integrated Study Group Leader. In 2014, Rob was awarded The K.M. Waggoner Peer Mentoring Award, and in 2015, he was awarded The Timothy N. Carlucci Award, which recognizes civility and professionalism in dealing with fellow students and others in the profession. Rob is a member of the American Bar Association, the Iowa Bar Association, the Polk County Bar Association, the Alliance for Collaborative Divorce, and the Central Iowa Academy of Collaborative Professionals. Rob is also a volunteer with the Polk County Volunteer Lawyers Project.